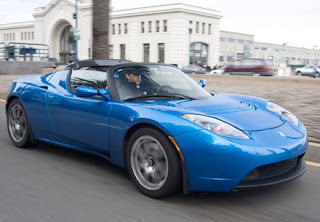 Tesla has confirmed delivery of its 500th all-electric Roadster . The car was delivered to Martin Tuchman - a philanthropist from New Jersey. Tuchman, a former automotive engineer, has already dabbled in electric propulsion have converted a boat to electric power to allow him take it on Lake Carnegie, which does not allow gas-powered boats. He says he plans to use his new Tesla to commute to work. To help keep sales up, Tesla is planning an all-new Model S sedan and with Daimler now holding a stake in the American car company improved development on its electric cars should gather pace.